Everyone enjoys getting love notes. Well, you can too! 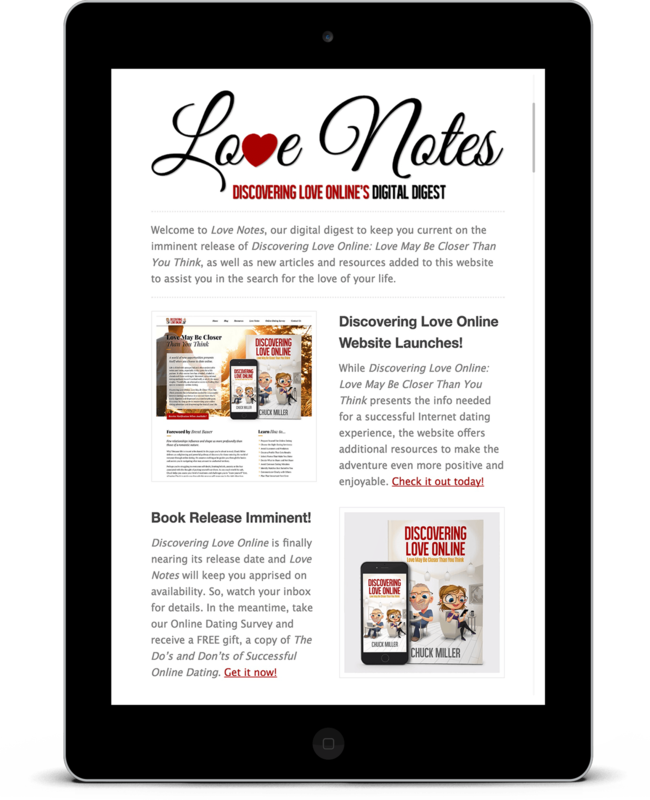 Love Notes, a digital digest (electronic newsletter), is designed to keep you current on updates related to Discovering Love Online: Love May Be Closer Than You Think. It also serves as a venue for announcing new articles and resources as they're added to this website. Plus, special offers related to online dating such as discounted subscriptions, valuable freebies and new products and services will shared in its byte-sized pages. Don’t miss out! Everyone enjoys getting love notes. Well, you can too! 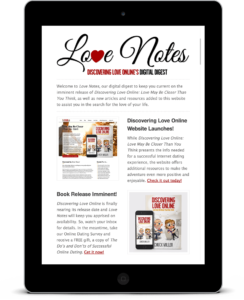 Love Notes, a digital digest (a.k.a. electronic newsletter), is designed to keep you current on updates related to Discovering Love Online: Love May Be Closer Than You Think.